A webhook is a URL to which you can send your data. It's a great way to capture any kind of data and send it to any destination you like. Livestorm comes with a native webhooks integration, which allows you to send your registrant and webinar data to any URL of your choice. 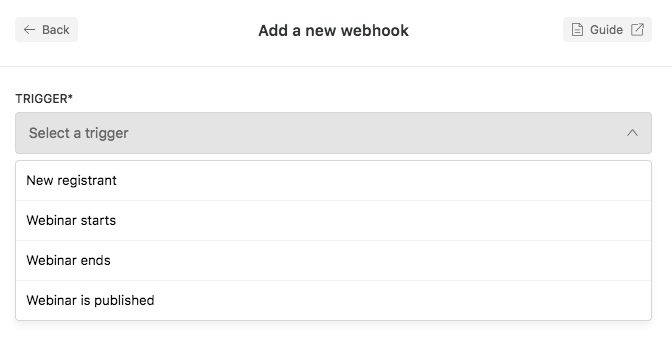 👉 Unlike our other native integrations, the webhooks integration will apply to all of your webinars. So you won't have to activate this integration for a webinar specifically. You can filter and choose which kind of data you'd like to keep through your own system once you receive the data.